Sarah Hampton Smith has been named as the winner of our Wilma Allan Award 2018 after a ceremony, kindly hosted by our Patron Lady Dalton at Government House last week. As well as her engraved JCCT medal, Sarah receives £500 worth of one-to-one training with the Resilience Development Company. This will teach her to deal with stress, learn to thrive under pressure and confidently manage setbacks. While Cheeky Monkeys, as the nursery that nominated her, wins £500 worth of equipment. 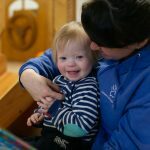 This can be any form of toy or resource that Sarah and her manager decide between them would best benefit the learning and development of the babies and young children in their setting. The Wilma Allan Award was designed to acknowledge those who go ‘above and beyond’ what is expected of them in their placements with babies and young children. It was created in memory of our former employee Wilma. Sarah is in her final year at Highlands and this term has chosen to do her research consultancy project with us at the JCCT, investigating the impact of our singing and signing programme in the nursery sector. Last year, it was won by Niamh Elliot while she was at Leeward Nursery. The money was spent on Sensory Play equipment such as lights, twinkling floor mats and bubble tubes. The placement supervisor within the setting can nominate any student by simply telling the Trust the student’s name and what they have done. Either phone Kate or the Trust on 629901 or email: kate@jcct.org.je before the end of the Summer Term. What you did? Why you did it? What difference did it make? How did you know it made a difference? 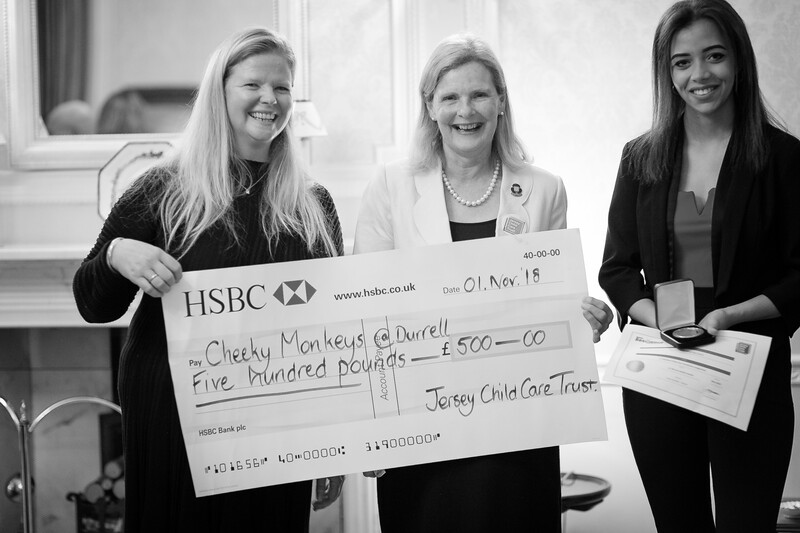 The Jersey Child Care Trust is a small, robustly run local charity that makes a big difference for families in Jersey. Putting families first is at the heart of all that we do and our vision is that every child in Jersey has access to the nurture, care and learning they need to thrive. We deliver a variety of programmes to enable all our children to have the best start. The Special Needs Inclusion Programme that supports children like Megan is our signature programme. Last year it provided over 8,600 hours of support to children in 15 different nurseries. We know that 80% of our brain development happens before the age of three years and so we make the biggest, long term difference for each child that we support in their earliest years. We make sure every penny is spent wisely and our current and previous grants from BBC Children in Need, Bosdet Foundation, One Foundation and the Lloyds Foundation for the Channel Islands are testament to the quality of the charity and our work.